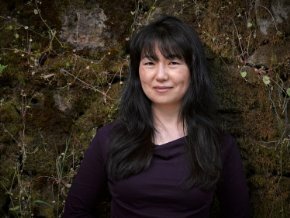 Susan Ee is the author of the new novel Angelfall (Penryn & the End of Days, Book 1), a Young Adult, Post-Apocalyptic tale. She also has short stories in publications such as Realms of Fantasy and the anthology The Dragon and The Stars. I’ve recently been fortunate enough to review a copy of Angelfall and Susan has been gracious enough to answer some questions for me to share with everyone! For those who have entered the accompanying giveaway, the winner will be announced below. 1. You joined in with NaNoWriMo (National Novel Writing Month) a couple of years back, is Angelfall the novel you were working on at that time and have you participated in NaNo previously? I love NaNo. And yes, Angelfall came out of a NaNo marathon. I wrote 80,000 words in 6 weeks. I love speedwriting the first draft because it keeps me one step ahead of my editing impulses. 2. Even though Angelfall was written during NaNo, was there any preparation before hand? Basically, do you find yourself to be a plotter or a pantser? I’m definitely a pantser. 🙂 I channel my first draft with no clue of where it comes from. After that, I spend months shaping and editing the story. Basically, I write first and outline later. 3. Would you say there are many elements in Angelfall that are reflective or inspired by your own life? I’m a huge fan of escapist fiction. My writing reflects that preference because I hope to offer that kind of entertaining escapism from the real world. If I borrow from real life, it tends to be in small bits and pieces to add authenticity, such as the fact that the story takes place in Silicon Valley and San Francisco. 4. You’re also a film maker with two short films under your belt (Tooth Fairy & Psychopath), have you considered creating a film adaptation of Angelfall and if not, how would you feel about another film maker/studio creating an adaptation? 5. If you had final say so, are there certain producers, directors, or studios that you would prefer to create a film adaptation? 6. Both film-making & novel writing are ways to tell a story, do you find that there are different techniques or rituals you must adopt when switching between them? I can be far more free in writing a novel. Indie filmmakers need to be supremely conscious of the budget. That means a limited cast, limited locations, very few costumes and FX. As a novelist, I can let my imagination go wherever it wants with no limits. 7. Did you have a specific sound track you favoured when writing Angelfall, or are you the type of writer to write without music? I would need the music to be the right mood of the scene that I’m writing, so rather than have a mismatch, I prefer to write without music. 8. What’s your book collection like? Messy? Alphabetised? Ordered in another way? Or do you give your read books away? 9. If it were possible to have dinner with three writers, either passed or still alive, who would they be and why? JK Rowling to see if I can get an imaginary tour of the Weasley Twins joke shop. Stephen King to hear him describe the Dark Tower world and the history of the Gunslinger. And Cormac McCarthy to see if he talks in the same deceptively simple style of his prose. 10. Are you able to give readers an idea of what is on the horizon with your work and with the continuation of Penryn’s story? Thanks to Susan for answering my questions, being my first interview subject, and all those great answers! If you’d like to purchase a copy of Angelfall check out the following sites. For updates about Angelfall and the series, check out Angelfall on Facebook & don’t forget you can also find Susan at www.susanee.com. 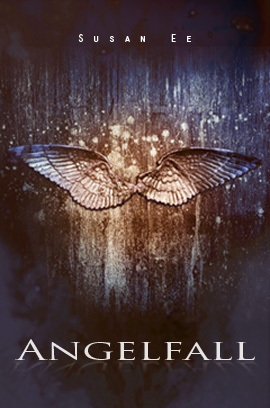 Thank you to everyone who has entered the giveaway for a chance to win a copy of Angelfall! I’ll be contacting the winner shortly, but for now the winner is Maria @ Bookchilla. Congratulations Maria! If you missed out on this giveaway, make sure to keep an eye out for more in the future! ← News: Co-Posters, Facebook Events, & A Spruce Up! Love your blog and your spirit! Keep writing!